Early organizers of the Ukrainian Women’s Association of Canada realized a need for an organization which would maintain Ukrainian culture for the descendants of the first Ukrainian immigrants to this country. In 1936, at the 10th Jubilee Convention of the U.W.A.C. 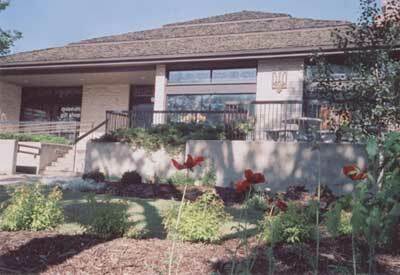 the founded what became the Ukrainian Museum of Canada. Its aim is the preservation of irreplaceable items such as clothing, weaving, and embroideries. The museum officially opened its first gallery, a room at the Petro Mohyla Institute in Saskatoon, on December 27, 1941. The museum relocated to the new Mohyla Institute at 1240 Temperance Street when it opened in 1964. The Museum officially opened its new headquarters on May 24, 1980 at 910 Spadina Crescent East, but its growth has not been limited to Saskatoon. In 1944, branches were established in Toronto and Edmonton. Branches followed in Winnipeg (1950), in Vancouver (1957), and the Calgary Collection was organized in the 1970’s. The Museum’s role is critical to the cultural legacy of Ukrainians in Canada. With its extensive artifact collection and archival material, interpretive displays, workshops, and publications, the Museum is contributing greatly to the preservation of Ukrainian culture in Canada.